When you have an overabundance of sebum plugs or blackheads in your face and body, you should consider removal. Learn how to get rid of blackheads for clearer, cleaner-looking skin. Blackheads are small bumps that have a dark brown or black top. They can be as small as the head of a pin or as large as a mole. Blackheads are usually painless, but larger ones can make your skin sore to the touch. Remove blackheads to restore your smooth, clear skin. Try these suggestions for getting rid of these blemishes. 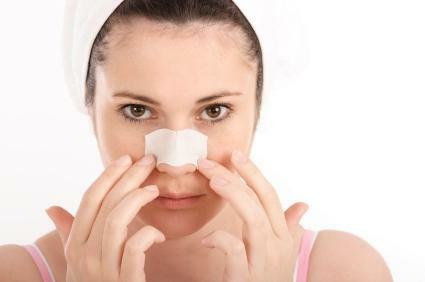 Pore cleaning strips pull out blackheads located around the nose or forehead. To use pore cleaning strips, wash your face first. Leave your nose or forehead damp. Remove the backing from the strip and apply it to your skin. Press down to smooth out any bumps or bubbles in it. Let the strip dry for 10 minutes, then gently remove. Cleanse the area with antiseptic afterwards. Many of your blackheads, if not all, should be gone. A blackhead extractor removes the offensive blemish by applying pressure to the plug and loosening it from the skin. A professional extractor is made of stainless steel and, with proper care, can last you a lifetime. Treat the area to a good steam before using the extractor. Choose the right size loop for the bump you are treating, and after sterilizing your extractor with rubbing alcohol, use it on the blackhead. Center the loop of the extractor over the blackhead and press down. Remove the extracted blackhead with tissue, but be careful not tear or rip your skin, as this can cause scarring. Treat the area with an antiseptic to prevent infection. Steam your face three to five minutes before you attempt extraction. Pat your skin dry after your steam treatment. Position the tiny vacuum over the bump. Pull up on the plunger so the tool can suction the bump out of the skin. 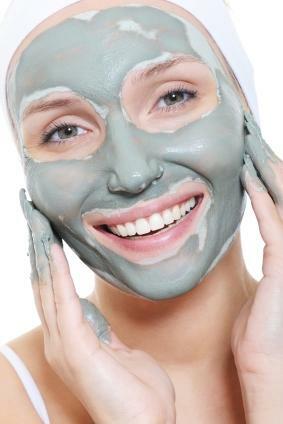 A clay facial mask once a week will remove deeply embedded blackheads in your skin. Wet your skin and cleanse it as you normally would. Pat your skin dry, but leave it slightly moist. Apply the clay mask to your skin (make sure your hair is tied back to keep it from the clay). Allow the mask to dry for 15 minutes, and then rinse your face to wash the mask away. This at-home facial treatment is a great way to remove blackheads. Your cosmetologist can give you a chemical peel. Doctors use acids to remove surface skin. Chemical peels are effective for removing nasal blackheads, but a chemical peel is not a cure for these blemishes. Some men and women experience some success with at-home chemical peels, but the most effective results occur in a clinical procedure. Exfoliating your blackheads with an abrasive scrubbing product can remove small blemishes. Regular exfoliations will keep your skin looking smooth and polished. Apply your scrubbing facial cleanser on a damp wash cloth and scrub the skin in a circular motion. Alternatively, you could use a shower gel and a bristled shower brush to get beneficial exfoliation. If your blackhead problem is occasional and not chronic, you may choose to squeeze the blackheads yourself. Keep in mind that dermatologists do not recommend squeezing blackheads by hand, because you can spread infection or bacteria into your open pores. Wash your hands and the skin where the blackhead is located before attempting to squeeze it. Trim your fingernails if they are long and sharp. Avoid cutting your skin with your fingernails as this can lead to scarring or an infection. Position your forefingers on either side of the blackhead. Push the skin inwards and simultaneously put pressure on the plug. The plug should pop out. Remove the plug and apply an antibiotic cream. To squeeze out resistant blackheads, expose your skin to steam for five minutes first. A steamy shower can open those pores and make it easier to get rid of blackheads. It is easier to prevent or slow down blackhead production than it is to remove them. These practical ideas may decrease the appearance of these black bumps on your face and body. Regular washing: Wash your face and body twice daily. Use a gel-based, gentle cleanser instead of a cream. Change makeup: Swap out your current makeup with a brand that is non-comedogenic. This type of makeup will not clog your pores with blackhead-producing oil and bacteria. Oil-free moisturizer: Use an oil-free moisturizer instead of a wax- or oil-based face lotion. Blackheads show up when pores are clogged by oils from our body or from soaps and lotions. Change diet: Remove fried foods from your diet. Replace those with leafy green vegetables and citrus fruits. Linens: Replace bathing towels daily. Never use the same towel twice without laundering the towels first. Put clean pillowcases on the bed weekly. This prevents exposure to transferred oil. Daily skin care will cut down on blackheads, but when you have an outbreak of these bumps, you can safely remove them. Whether you use a simple method like exfoliation, or choose a more extensive treatment, such as a chemical peel or removal tool, your skin can be clear, beautiful, and blackhead free. Get rid of blackheads as they appear and see a dermatologist for serious conditions.